A friendly comment on Facebook earlier in the week reminded me that I started this blog three years ago . . . today. I've never really celebrated my "blog-iversary." The first year I mentioned it, almost is passing, and last year, not at all. I started this blog as a place to talk about the books. I called it Inspired by . . . because I knew that there was only so much I could say about the books before boring you to tears. The title Inspired by . . . pretty much gave me a blank canvas to write about anything that happened to be inspiring me – with the hope that it would also inspire YOU! My life was very different three years ago. I did a lot of scrapbooking, and crafting, DIY projects, and cooking! I had a lot of fun! Then, about eight months into my blogging adventure, my world completely changed. It seemed overnight I had a new location, a new lifestyle and a new focus. I'm still having fun! But my life, and this blog, is now more focused on writing and photography. The ultimate goal of Inspired by . . . hasn't changed. The underlying inspiration for everything I do is my Lord and Savior Jesus Christ. My intent is to glorify Him by inspiring YOU. I don't always succeed, but that is always why I write. I view this blog and my writing as a privilege – not a right. I am beyond honored when He encourages and uplifts YOU through the words you read here. I know He has done this, because YOU have told me. Through your sweet comments, YOU have inspired and blessed me in return. I think maybe it is time to celebrate that – to celebrate it all. I want to share two books with you. I'm going to give them away actually, to one blessed winner. Next to the Bible, these two books are God's greatest inspiration to me. The Valley of Vision and Daily Light for Every Day. The Valley of Vision is a collection of Puritan prayers and devotions, edited by Arthur G. Bennett. I'm giving away one leather bound copy. Daily Light for Every Day, with a forward by Anne Graham Lotz, is a daily collection of morning and evening reading of scriptures. Just scriptures, combined in a way that will encourage and inspire you. I'm giving away one eBook copy. So, just to clarify, if you win, you get one leather bound copy of The Valley of Vision, and one eBook copy of Daily Light for Every Day. I'll be announcing the winner on Monday, June 2nd. If you already have these in your library, they make great gifts! No matter how long you've been visiting here, even if this is your first time, THANK YOU! I pray this place will continue to be a place of encouragement and inspiration. PS I've never done a giveaway before, but hopefully all will go smoothly! If not, please extend some grace to the giver and email me with your questions or concerns! Apparently that first one did not take. It wished you a happy blogging anniversary and said once again how much I adore you. I'm excited about your giveaway too. Much love. The give-away is so generous. I have Valley of Vision in paperback. It is a wonderful collection indeed! The other book looks right up my alley. Thank you so much for doing this. You always inspire me, June! Your pictures are just stunning and always leave me feeling refreshed. Your words encourage me. Your comments on my blog never fail to bring a smile to my face. You are a treasure! Oh, and thanks for the giveaway, too!! How exciting! 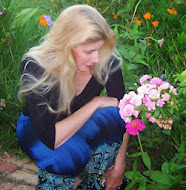 I was just introduced to the blog by Shelly (Renewed Daily) and I love it! The pictures are gorgeous and your writing is beautiful! I can't wait to read more! Congratulations, June. You have a great gift and heart for encouraging. May God continue to bless you and yours, sister. Congratulations! I am enjoying connecting with you more and glad we have crossed paths! Wonderful give away! Congratulations on your anniversary....You have been such an inspiration to me and a place to find my footing... and I know we will meet....someday! June, I admire and respect your clear vision about the purpose of your life and this blog as an extension of that purpose and passion. I have struggled for years with just how much and when to share my faith, and then finally, through God's leading, realized that I need only be myself. Still, I sometimes dance around my faith for fear that I will alienate my friends who do not share my faith and beliefs. I find that my photography and writing are often a way for me to share my faith, just as you do. Thank you for the encouragement you share here, and yes, I am celebrating with you, too! Congratulations on making a difference.